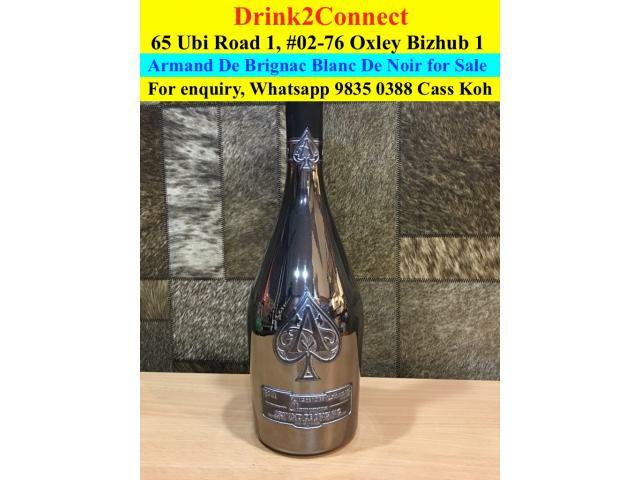 Drink2Connect - Singapore Licensed Liquor Dealer: L/LL001573/2017/P,98350388 - Armand De Brignac Blanc De Noir Champagne for Sale65 Ubi Road 1 by Licensed Liquor Dealer(Drink2Connect).Buy Ace of Spades Champagne, Sell Ace of Spades Champagne, Buying Ace of Spades Champagne, Selling Ace of Spades Champagne,Buy Armand De Brignac Blanc De Noir Champagne, Buying Armand De Brignac Blanc De Noir Champagne, Sell Armand De Brignac Blanc De Noir Champagne, Selling Armand De Brignac Blanc De Noir Champagne, Buy Champagne, Sell Champagne, Buying Champagne, Selling Champagne, Buy Armand De Brignac Champagne, sell Armand De Brignac champagne, selling Armand De Brignac champagne, Buying Rum, Buy rum Sell Whisky, Selling Whisky, Buy Whisky, Buying Whisky, Sell Alcohol, selling Alcohol,Buy Vodka, Buy Vodka, Sell Vodka, Selling Vodka Buy Liquor, Sell liquor, Buying Liquor, Sell Liquor, Buy Gin, Buying Gin, Sell Gin, Selling Gin, Buy Wine, Buying Wine, Sell wine, Selling wine, Buy Champagne, Sell Champagne, Buying Champagne Sell Champagne,,Whisky Buyer, Whisky Dealer, Whisky Store online, Whisky Shop online,Kindly Whatsapp 9835 0388 Cass Koh if you have any Whisky to sell. Thank You.OLD liquor Store, OLD liquor Dealer, Buy OLD Liquor, Sell OLD Liquor, OLD liquor Buyer, LIcensed Liquor Online Store, Licensed Liquor Dealer Drink2Connect, Drink2Connect at Ubi. Buy Hennessy/Remy Martin/Otard/Camus.Courvoisier/Martell/Whisky/Whiskies/Chivas Regal/Johnnie Walker/Macallan/Balvenie/Glenfiddich/Glenlivet/Dalmore/Japanese Whisky/Yamazaki/Hibiki/Nikka/Hakushu/Karuizawa/Mizunara/Samurai/Wine/Champagne/Sake/Benedictine Dom/Vodka/Gin/Rum/liqueur etc.